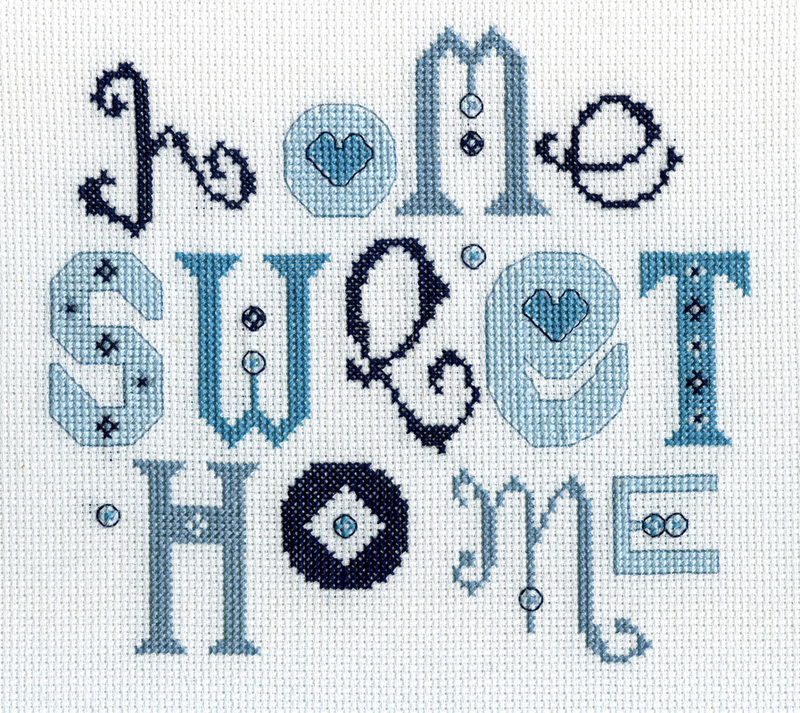 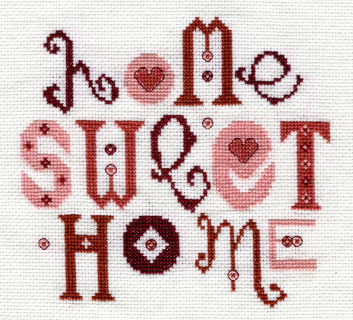 Home Sweet Home Cross Stitch Kit, By StitchKits designer Ruth Caig, Available in Red, Blue and Green. 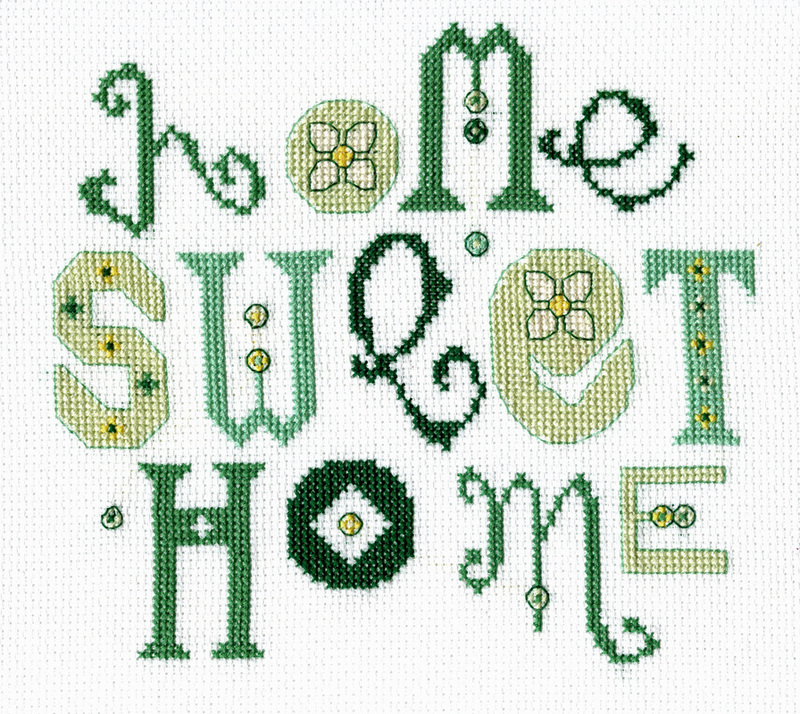 14 count White Zwiegart Aida and DMC Thread. This pretty ‘Home Sweet Home’ sampler kit combines the classic sentiment with this fresh contemporary design.This contemporary twist on an old favorite, seems to appeal to all age groups and is available in three colourways so that there really is one for everybody. 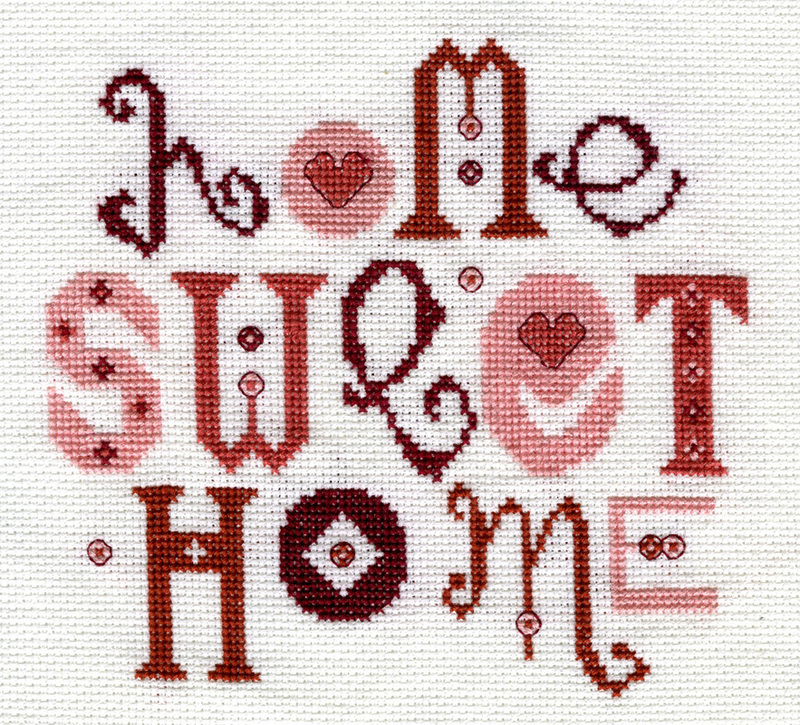 My kits are prettily packaged by hand with everything you need to recreate my design. 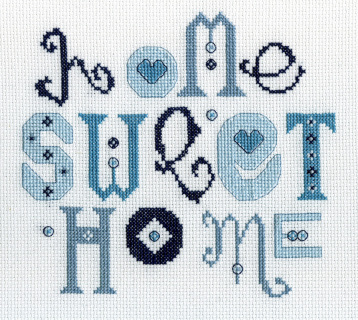 The simplicity of this design makes it accessible for all levels of ability.